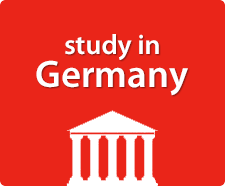 Study In Germany – OM's Abroad Consult Pvt. Ltd.
Germany’s universities combine age-old traditions with modern technologies. More than 300 universities are featured on Campus Germany: from time-honored institutions offering students the classical repertoire of subjects such as Medicine, Law, English and German to innovative new institutions of higher education with inter-disciplinary study programs. German universities are open to anyone who fulfills the prerequisites and academic freedom is one of the basic principles of the German university system. German universities combine research and study. They’ve been the scene of many groundbreaking discoveries and they’re internationally renowned. German universities attract faculty and students from around the world. Modern German universities also combine theoretical work with its practical application. They both educate and train – basic research is augmented by applied research. Interdisciplinary cooperation is common and many of them cooperate closely with multinational firms and with other research institutes in Germany and abroad. In the end, this increases the graduates’ chances on the job market.